Our widely visited website plumasarts.org provides press releases about current activities and a wealth of information about the work of our organization. The website also hosts our cultural events calendar and comprehensive county calendar of events as well as a directory of artists, galleries, venues the host musical presentations or visual art displays and links to our partner organizations.Since 1982, the Plumas County Arts & Events Calendar & Quarterly Newsletter, a printed and online publication, has captured a countywide vision of cultural activities. It is emailed or mailed to (and posted on the refrigerators of) members of Plumas Arts and media contacts and is distributed through the Chambers, libraries, motels, restaurants and community agencies. 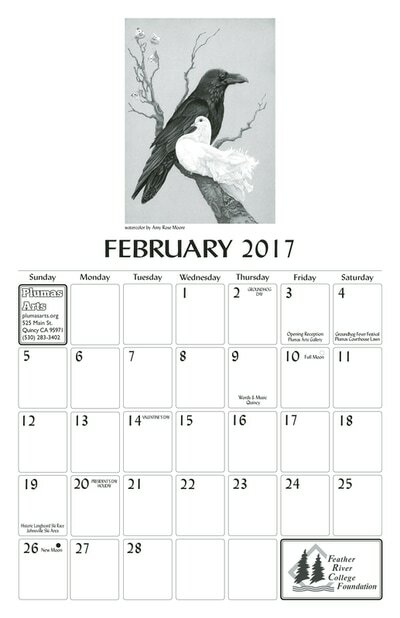 PlumasCountyEvents.com is a truly comprehensive online listing of Plumas County events that is collaboratively updated by all chambers of commerce and Plumas Arts. Any event open to the public may be submitted. It may be viewed in its entirety, or sorted by community or cultural events listings. It also serves as a web information point for the Plumas County Culture, Civic and Commerce Coalition. Artist & Cultural Resources Directory Since our inception Plumas Arts has kept a directory of local arts, galleries, and venues where music is presented and arts organizations initially in print and now online. Our online directory is being expanded as part of our website remodel, funded by a California Arts Council State-Local Partnership Technical Assistance grant with supplemental funding from a Plumas County Arts & Tourism, Economic Development Grant. Rarely a week goes by where there is not a press release in the local media about cultural events and activities in Plumas County written by or about Plumas Arts. Long-term efforts and recognition at the local, regional, state and national levels have made Plumas Arts an initial contact point for opportunities and inquiries that have helped keep Plumas County culture on the radar. Our Plumas Arts Gallery is a tourist information resource where we encounter numerous visitors each day we are open. As the county events calendar coordinators we respond to an average of 15 contacts/inquiries a week about local culture and events. Our Plumas Arts Education programs have been supported by: school site councils and PTAs, the Plumas County Office of Education and Plumas Unified School District, and a three year cycle of California Arts Council Local Arts Education Partnership Grants. In 1999 the effort was one of only 15 programs to be funded statewide by the State Office of Education ART WORKS Visual & Performing Arts Program. 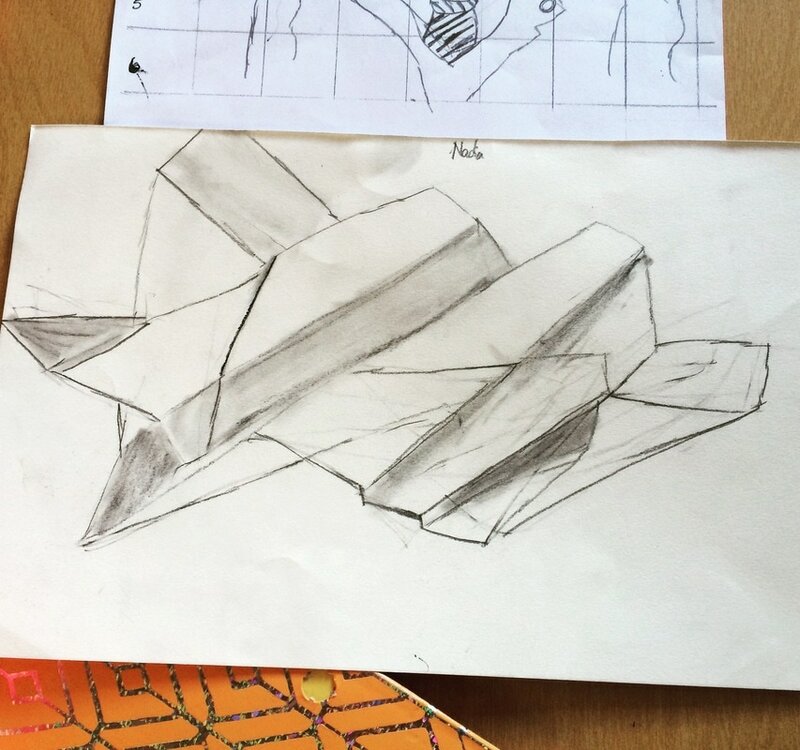 From 2000 to 2002 our art education programs were selected as one of only 35 recipients statewide, and one of only 4 in Northern California to be determined as a California Arts Council Arts in Education Demonstration Site. Artist in the Schools Program provides hands-on artist workshops in every county K-6 classroom. School Arts Assembly Programs are often offered to county schools, often in conjunction with the Town Hall Theatre Artist Series performing arts presentations. The program currently operates with a CAC Artist in the Schools grant matched with funds from the Plumas County Office of Education and PTA/PTO groups and recently the Bill Graham and High Sierra Music Foundations. All County Jazz Night brings all the high school jazz bands to play for a very enthusiastic full house at the Town Hall Theatre. Music instructors tell us that this is the only time that all the high school bands play together - on a real stage with lights when they are not in competition with each other. 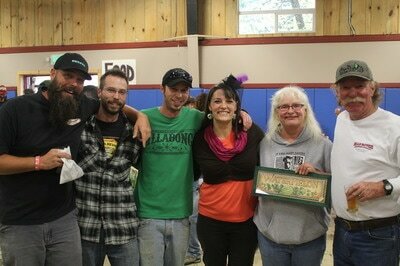 Plumas Arts produces Taste of Plumas each April. Always a "sold-out" successful event, we bring 20+ culinary businesses from all parts of the county together in one place. Restaurants and business owners come willingly to take part in this festive gathering that has helped to promote their culinary artistry to discretionary diners across and beyond county and community boundaries. Plumas Arts has managed one of Northern California's oldest and most respected exhibitions of fine arts and crafts, the Almanor Art Show since 1983. It takes place the first weekend in August and showcases a variety of types of art by 100 artists from around the Western US as well as offering subsidized booth space to the Feather River Fine Arts Guild members in a local artist "village." 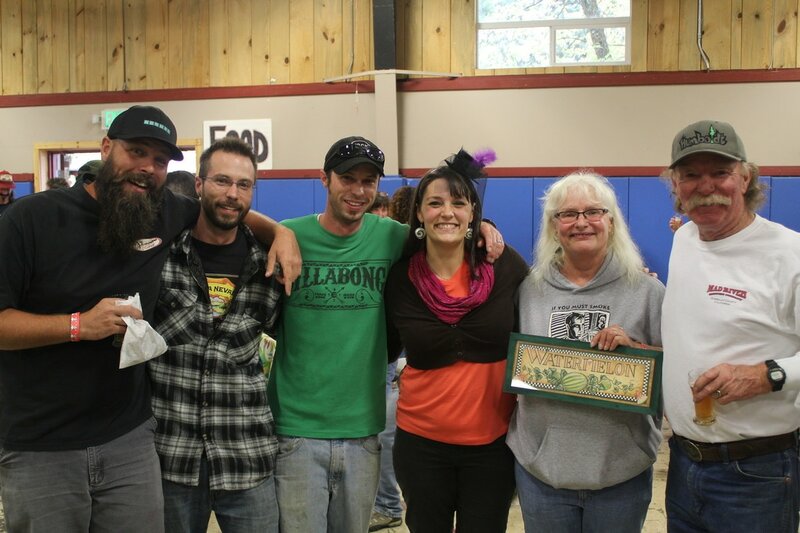 Mountain Harvest Festival, in October, is a community music and beer tasting event that attracts an impressive collection of microbreweries from throughout the Western US and beyond. The event, which has received generous coverage in VIA magazine and other regional media, attracts people from near and far to enjoy our glorious Fall Colors and community feel. A Few Brews & A Banjo in Chester (June 24, 2016) is sponsored in partnership with the Lake Almanor Community Foundation (LACC). Proceeds fund Chester High School music and drama programs. High Sierra Music Festival at the Plumas-Sierra County Fairgrounds over the 4th of July weekend. Art Around the Lake (Almanor) the last Saturday in June, is sponsored in partnership with the Feather River Fine Art Guild (proceeds fund visual art supplies in the Chester public schools). Portola Park City Lights Summer Concert Series funded by the City of Portola. Town Hall Theatre Artist Series brings an impressive array of internationally renowned artists to local audiences. Many of these artists have regional or national fan bases that are choosing to travel to our area from some distances to see their favorite musicians in an intimate setting. An estimated 10-20% of our audience comes from out of the county with overnight, or longer, stays in conjunction with their attendance at our performances. On concert nights restaurants also report record business. Words & Music came to life at Quincy's Morning Thunder in Quincy in 1989 with a Plumas Arts grant from the California Arts Council. This monthly (dark July to September) poetry and acoustic music series with an open mic section has also found homes in Chester and Portola. The program serves to coalesce cultural community enclaves and has been reproduced by neighboring arts councils. Plumas Arts and local music education business Face the Music sponsor an annual concert by the High Sierra Community & Youth Orchestra: Plumas County's first orchestra with as many as 45 musicians of all ages playing together on violin, viola, cello, bass, flute, woodwinds, brass and percussion. 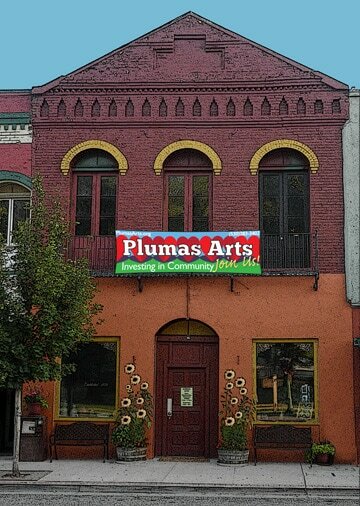 Since 1998 the Plumas Arts Gallery has shared space with our administrative offices in Quincy. Our Gallery showcases the fine work of local artists with a changing schedule of exhibitions and opening receptions. The gallery displays and sells the work of at least 60 visual, musical and literary artists. Rotating Art Displays are also hosted at Patti's Thunder Café. 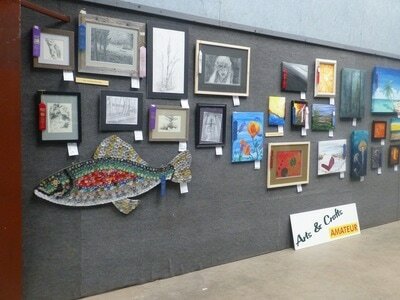 After a decade-long respite, Plumas Arts returned in 2007, at the request of fair management, to coordinate the Art Barn at the Plumas-Sierra County Fair. This monumental effort involves more than 350 hours of service by dozens of volunteers to provide an attractive display of artwork by Plumas and Sierra County residents of all ages and abilities. The Fair Board and Fair Staff have applauded our effort.